Auburn University's National Center for Additive Manufacturing Excellence secured a three-year, $5.2M contract from NASA to create additive production methods and processes to boost liquid rocket engine performance. 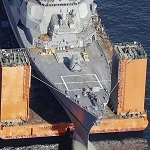 The contract supports the Rapid Analysis and Manufacturing Propulsion Technology project, an initiative which seeks to expand large-scale and lightweight additive and novel manufacturing processes to support the development of cooled thrust chamber assemblies for liquid rocket engines, the university said Monday. Project participants will develop specialized production technologies and a domestic supply chain for schools, commercial firms and government agencies as part of the contract. 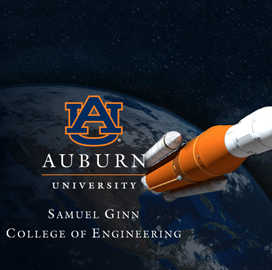 "This new collaboration between NASA and our additive manufacturing researchers will play a major role in developing advanced rocket engines that will drive long-duration spaceflight, helping our nation achieve its bold vision for the future of space exploration," said Christopher Roberts, dean of the Samuel Ginn College of Engineering at Auburn.